Recording bass guitar - With or without effects? While not so common or gargantuan as those of guitar players, the effects arsenal of a bassist is a delicate topic you shouldn't consider too lightly. In fact, when a musician goes through the trouble of inserting one or several effects in the signal path, it's not just for the sake of it, it actually contributes to creating his or her own sound. But be careful, as cool as they can be, these effects can become a real headache for the music producer and/or the audio engineer. The first concern has to do with the quality of the effects themselves. Especially since most of them are far from being studio quality effects. Which means they generate hum, noise, hiss... Indeed, some effects make so much noise that trying to achieve a decent signal level with them can prove to be a real conundrum. 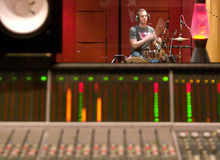 And if you don't deal with this during the recording, it will inevitably make the mixing session a true nightmare. So, now that you are aware of the issue, how can you get away without harm? Well, the solution is pretty simple actually, and it only has advantages, as you are about to see. To avoid any of the problems detailed above, you should record the bass amp and the signal directly from the instrument, before it goes into any pedals. This way you will get at least one completely "clean" signal. As you see, it couldn't be easier, and I'm pretty sure by now you have already guessed what to do next. But can you really grasp all the benefits this entails? 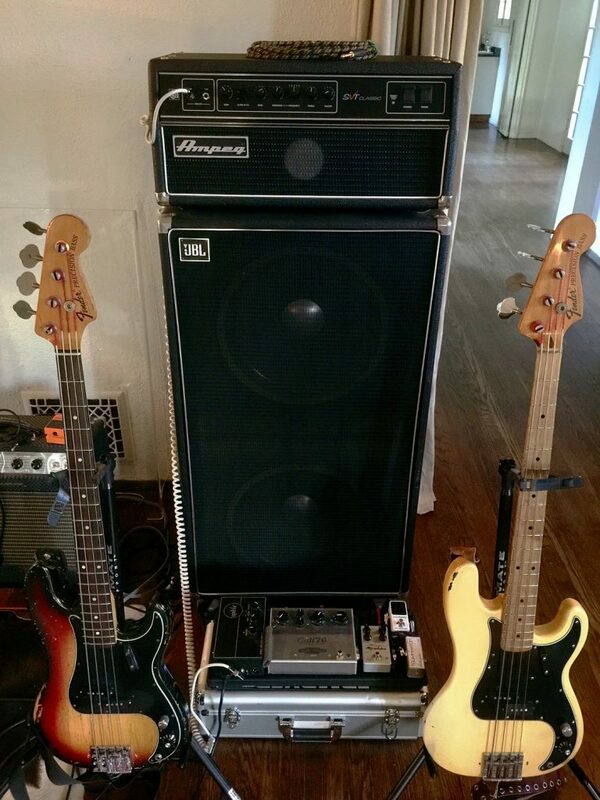 First of all, it allows you to let the bassist play with all his favorite toys without meddling with his sound. This means he or she will be able to play like he/she would under normal circumstances, which will make it easier for him/her to focus on what's really important: the performance. What's more, despite what I wrote above, it just might happen that the sound you capture form the amp, with all the effects, suits perfectly the production you are working on! If that's the case, you will have less work afterwards, which can't be a bad thing. But if the amp take doesn't really work for you, you can always use the clean take to track it again with the reamping technique. The cherry on the cake is that, even if the amp take isn't that useful, you can always use it as a reference when reamping/mixing down, in order to respect the sound of the musician and adapting it to the needs of the song. To finish, I know many of you are asking yourselves whether it was really necessary to dedicate an entire article to this issue. I asked myself the same question several times. And in the end, I came to the conclusion that it was because even if the solution is very simple, the issue is crucial.